California Rep. Devin Nunes notified Attorney General William Barr of eight “potential violations of law” that he says Republicans uncovered during the House Intelligence Committee’s Russia investigation. In a letter to sent Thursday, Nunes offered to brief Barr on the referrals along with Texas Rep. John Ratcliffe, a Republican on the House Intelligence panel. “As part of that investigation, Committee Republicans identified several potential violations of law,” reads the letter from Nunes, the top Republican on House Intelligence. Fox News first reported the letter. Nunes said Sunday he would submit referrals for alleged leaks of classified information, “intelligence manipulation” and lying to Congress. “We believe there is a conspiracy to lie to the FISA [Foreign Intelligence Surveillance Act] court, mislead the FISA court, by numerous individuals that all need to be investigated and looked at,” Nunes said Sunday on Fox News. Nunes and other House Republicans have investigated whether the FBI misled the FISA court in applications to spy on former Trump campaign adviser Carter Page. The FBI relied heavily on the Steele dossier in the FISA applications, even though the report’s allegations had not been verified. Former British spy Christopher Steele compiled the dossier while working for the Clinton campaign and Democratic National Committee. House Intelligence Republicans have also investigated whether Obama administration officials illegally unmasked the identity of Trump associates in classified intelligence reports. 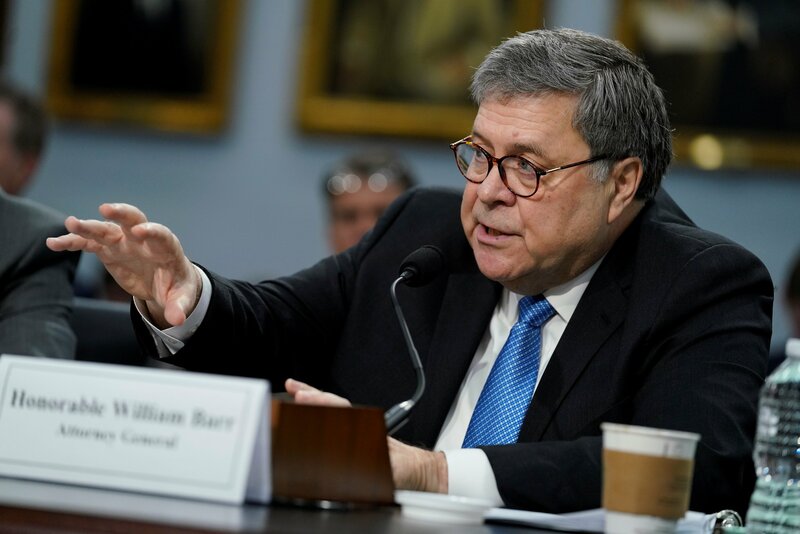 Barr has showed a willingness to investigate possible malfeasance in the FBI’s handling of the Russia probe. He told the Senate Appropriations Committee on Wednesday that he plans to form a team to investigate the FBI and other government agencies’ activities leading up to the opening of the investigation. He also said that he believed that the government had spied on the Trump campaign. A spokesman for Nunes declined to reveal who will be referred to the Justice Department for investigation.